New York (TADIAS) — This year’s class of Mandela Washington Fellows from Ethiopia includes a diverse group of 50 young professionals between the ages of 25 and 35 hailing from various regions of Ethiopia. Teachers, lawyers, doctors, filmmakers, human rights activists (including Zone9 blogger Zelalem Kibret), social workers, Ethiopian sign language & deaf culture experts, non-profit directors, public health employees, entrepreneurs, engineers, software developers, and human resource managers are among some of the sectors represented by the new Fellows. 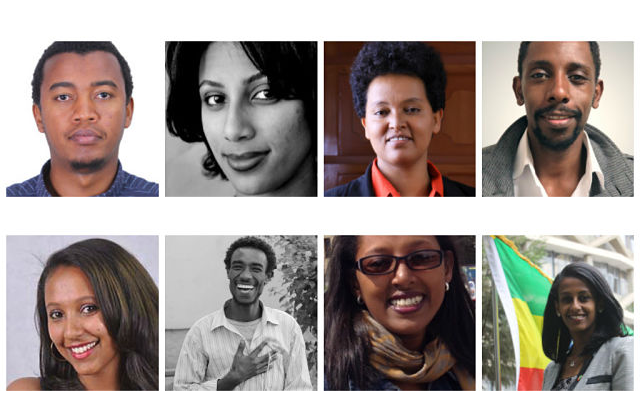 Below are the names and biographies of the 2016 Mandela Washington Fellows from Ethiopia. Aklile Solomon Abate has been working as a women’s rights activist for more than five years. 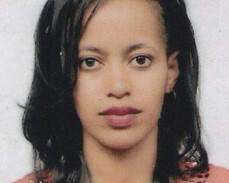 She has a bachelor’s degree in Law from Addis Ababa University. Aklile is a co-founder of a youth-led initiative called The Yellow Movement AAU, which works on women’s rights advocacy and empowerment. She is responsible for managing campaigns, coordinating events, handling partnerships, and raising awareness about gender-based violence. Aklile also volunteers at a public elementary school by tutoring young children and creates awareness on gender inequality in her community. Upon completion of the Mandela Washington Fellowship, Aklile plans on continuing her work on women’s rights by focusing on young children in order to reshape the future generation. 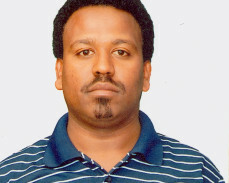 Gebeyehu Begashaw has been working as a lecturer at the University of Gondar, Ethiopia, for seven years. His work focuses on teaching graduate and undergraduate students, conducting research projects, and rendering community services. He also currently serves as research officer at the College of Social Sciences, where he oversees research projects undertaken by the faculty and students. His research interests center on different public health issues such as mental health, maternal health, health economics, and health systems. He advocates protecting the human rights of the mentally ill, which includes the right to appropriate mental health care, and the right to education and employment. 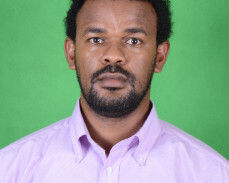 Gebeyehu has a master’s degree in Social Psychology from Addis Ababa University and in Organizational Behavior from Paris V Descartes University. 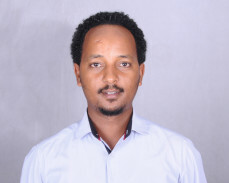 After the Fellowship, Gebeyehu plans to continue his work in the public health arena with a focus on improving the mental health care system through evidence-based decisions. Molalign Belay has approximately eight years of experience working for an academic institution in Ethiopia. Born and raised in a rural village of Ethiopia, he used to be engaged in farming activities and local tour guiding. Currently, Molalign is a lecturer of Sociology. As director of the Alumni Relation and Partnership Office of University of Gondar, he initiates communications and strategic team work, organizes events and alumni workshops, seeks opportunities and networks for alumni/students, and undertakes alumni and employers surveys, to name a few. 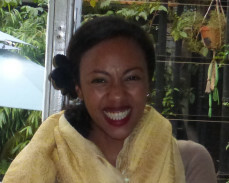 Molalign has an MA in Sociology (Health and Well-being) from Addis Ababa University. He works for local organizations as a volunteer trainer, project designer and trustee. He is a Rotarian, an educator and a social analyst on the local FM radio program. Upon the completion of the Mandela Washington Fellowship, Molalign plans to create a scholars community through establishing community-based youth centers to engage and empower students. Alemseged Woretaw has almost 12 years experience as an educator in the health professions, contributing greatly towards a competent health workforce development. Currently, he is a technical advisor for the National Board of Examinations at the Ministry of Health. He also works closely with universities to improve student assessment and learning by synchronizing licensure exam preparation with faculty development efforts. Alemseged is a medical doctor with a master’s degree in Medical Biochemistry, and is passionate about educating and training future health professionals. Upon completion of the Mandela Washington Fellowship, Alemseged plans to continue his work with the exam board, impacting the teaching-learning process, especially student assessment. He will also help to fill the gap in academic leadership skills in medical schools, and plans to design high-impact academic leadership training, promoting mentorship and partnership among academic leaders. Girum Assefa Akriso realized very early that he wanted to become a storyteller. Everyday life dragged him far from his boyhood dream, and he pursued studies in computer and information systems to earn his BSc. Having found himself drifting from his life’s purpose, three years ago he decided that enough was enough! Enena Bete, a film written by Girum was produced and then selected as the opening film in the 9th Ethiopian International film Festival. Girum regrouped, starting Rusty Town Films with three talented young men, and started writing serial radio dramas on migration, stag plays on religion and culture, and several documentaries on community services. They also work on commercials and music videos. Girum’s skill set is best described as a mixture of creativity, storytelling, education, consulting, and entrepreneurship. 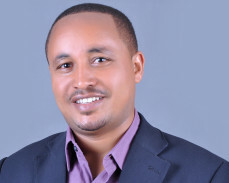 Abraham Mekonnen Alemu has over six years experience in human capital management in different sectors. Currently, Abraham is a human resources manager responsible for HR activities and operations such as planning, acquisition, talent development, performance management, and staff compensation. In doing so, he ensures the efficiency and effectiveness of the HR and organizational systems. He also volunteers in his local community’s fundraising activities to build school facilities, and teaches management at different colleges. Abraham holds a bachelor’s degree in Business Management with distinction, and an International Management award with distinction from The Institute of Leadership and Management, London. He is currently doing a master’s program in Human Resources and Organizational Development. Upon completion of the Mandela Washington Fellowship, Abraham plans to continue creating job opportunities for the youth, people with disabilities, and women by filling the gap between industry needs and university curricula. 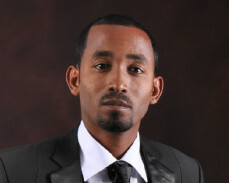 Tigist Getachew has seven years experience in business strategy and related fields. In parallel with the UN job where she worked for four years, she also provided pro bono services to several local startups on financing, strategic planning, and business plans, while also managing the first fast-moving consumer goods industry analysis for Ethiopia for Euromonitor International. In 2013 she returned full time to the business world to co-found and lead East Africa Gate (EAGate), a boutique foreign investment and business advisory firm. 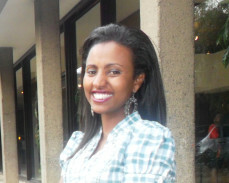 She also works in youth entrepreneurship by mentoring Ethiopian entrepreneurs in bringing their ideas to life. She is also a mentor for Ethiopian applicants to the African Entrepreneurship Award – an initiative powered by BMCE Bank of Africa. Tigist holds a BA in Economics from the University of Toulouse, France, and a Master’s in International Management from IAE Toulouse, Graduate School of Management with business strategy as her major. A pan-Africanist, Zemdena Abebe is a visionary Political Science and International Relations graduate, activist, and budding writer engaged in women rights in particular and social justice in general. Zemdena volunteers for the African Union at the Academy of African Languages, Mali, as a marketing and research assistant. She consulted for UNICEF Ethiopia for six years in their ‘Speak Africa’ initiative (youth advocacy), as well as in environmental education, hygiene, and sanitation. She chaired the Addis Ababa Girls’ Forum, which facilitates discussion on issues regarding girls’ vulnerable to HIV/AIDS and lays the foundation for legislative intervention against sexual abuse. 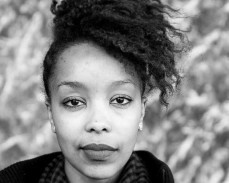 Zemdena was President of Addis Ababa Students’ Union, and was among 22 young African women writers selected for ’Writing for Social Change’, organized by AWDF and FEMRITE, Uganda. After completing the Fellowship, she will continue writing about social justice and aims to influence society’s behavior towards women by using multimedia platforms and research. Addis Abera has a decade-long experience in different public enterprises operating in areas of agro-industry, maritime and logistics services, commodity exchanges, and agricultural transformation. Addis’ professional experiences and skills primarily include market research, product development, strategic planning, and project management. 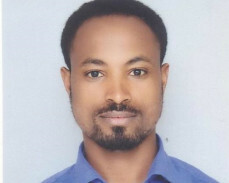 Currently, he is a project officer of the Rural Financial Services Program at the Ethiopian Agricultural Transformation Agency (ATA), which focuses on the strategic issues of strengthening rural financial institutions and ensuring liquidity in the rural sector. Upon completion of the Mandela Washington Fellowship, Addis will return to the ATA and be part of the national endeavors of agricultural transformation in his country, Ethiopia. 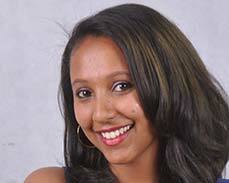 Addis holds a Bachelor of Arts degree in Economics from Haramaya University. 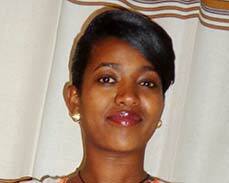 Kalkidan Ayele has over three years experience in disabled and deaf women’s empowerment and HIV/AIDS prevention. Currently, Kalkidan is a manager for the Ethiopian National Association of the Deaf where she focuses on promoting sign language and advocates for a better life for the deaf in Ethiopia. She manages different projects and monitors the overall work of the association. 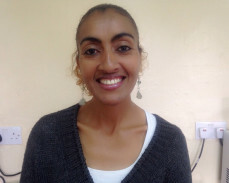 Kalkidan holds a Master’s degree in Gender Studies from Addis Ababa University, where she focuses on gender and disability issues and their impact on the employment opportunities of deaf women and youth. Upon completion of the Mandela Washington Fellowship, Kalkidan plans to continue her work with the association by focusing on the challenges of the deaf in Ethiopian society. She aims to find solutions through different projects, advocacy works and networking with similar organizations for the better life of the deaf in Ethiopia. 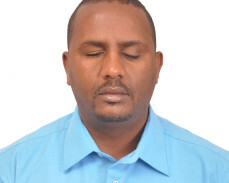 Zelalem Kibret has over six years of experience in various legal and communal affairs. Currently, Zelalem is trying to build his own virtual law office to help the poor. Moreover, Zelalem is an activist and a blogger who regularly campaigns and writes on the issues of constitutionalism and good governance. He volunteers on the university teaching Law and organizing debates, and has established a dialogue platform. 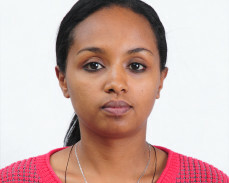 Zelalem holds a master’s degree in Public International Law from Addis Ababa University, with a focus on individual responsibility in International Law. Upon completion of the Mandela Washington Fellowship, Zelalem plans to establish a nationwide legal office in Ethiopia that helps peoples who can’t afford to pay for legal services. Tinbit Daniel is a law graduate, dedicated to contributing to the improvement of the lives of children, especially young girls. She is now the Girls Empowerment programs director, leading a new innovative project to launch the new African animation series called Tibeb Girls. This series is intended to change the way girls are seen by society and by themselves. Tinbit is also wrapping up another project on the education of girls. She is challenging herself with the hope to work on much more progressive programs on the upliftment of females. She received the Youth Champion award by the David and Lucile Packard Foundation and Public Health Institute. She was selected as one of 18 youth champions. This award recognized Tinbit for being a leader and doing innovative and excellent work on the empowerment of girls, such as education and sexual and reproductive health rights. Abrhame Butta has more than nine years of experience working in academics and entrepreneurship. He focuses on agripreneurship, rural innovation, and smallholder livelihoods. Currently, Abrhame owns and manages his own company, Green Agro Mechanization, which offers services including mechanization, crop chemical and pesticide supplies, a farm credit service, and financial-literacy training. It aims to provide a one-stop farming solution and introduce a farm credit service in which poor farmers pay 40% in cash, with 60% paid without interest after the harvest. Abrhame received an MBA from Addis Ababa University and engaged in various consultancy, community, and entrepreneurship programs. Upon his return from the Mandela Washington Fellowship, he will expand on the farm service center project, with a focus on harmonizing all company services and reaching out to more young and women smallholders. Linda Lapiso is an electrical engineer and construction consultant with over eight years of work experience in the sector. Currently, Linda is a freelance consultant, who specializes in designing electrical building services for residential, commercial, and industrial developments. She also volunteers in community-development programs and speaks against the sidelining of women in society. Linda has received her bachelor’s degree in Electrical Engineering from the Addis Ababa University Institute of Technology. Upon completion of the Mandela Washington Fellowship, she hopes to implement lessons learned from the program in her day-to-day consulting services and share newly acquired business skill in order to explore opportunities and inspire growth in her community. Mehret Amsalu has over five years experience leading multiple maternal, neonatal and child health (MNCH) projects. 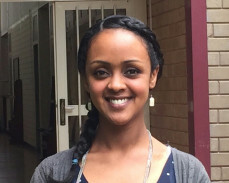 Currently, Mehret is a PhD candidate in Public Health and Water at Addis Ababa University, where she is researching feasible solutions to water, sanitation and hygiene-related public health challenges among Ethiopian mothers and children. Mehret collaborates with international volunteers to end preventable maternal and child death in Ethiopia. She is focused on initiating, designing and implementing cost-effective MNCH units in her role as a project manager for Voluntary-Service-Overseas. She is also a volunteer mentor in a girls’ public school. 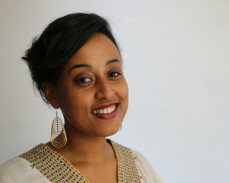 Mehret holds a master’s degree in Public Health from University of Gondar, where she focused on public health challenges and their impact on development. Upon completion of the Mandela Washington Fellowship, Mehret plans to continue her work in public health with an emphasis on access to quality health services for pregnant women, mothers, and children. Enque Deresse Endeshaw has worked as medical doctor for over five years in different capacities, mostly in mental health. 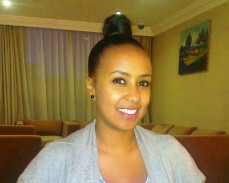 Enque did her specialization in psychiatry at Addis Ababa University. Currently, she is working at Lebeza Psychiatry Consultation PLC, where her main focus will be organizing training and treatment for Ethiopian migrant workers living in the Middle East and refugees. 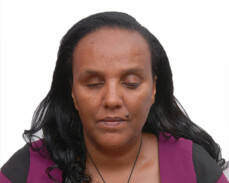 Enque has worked as the clinical head at a substance rehabilitation center, which was the first of its kind in Ethiopia. In her tenure as a clinical head, she trained and supervised other staff members. She was involved in the management aspect of the center, in addition to carrying out clinical work. So as to give back to society, she was involved in an outreach program that provided free mental health care to patients. Enque plans to apply and share the experiences she has acquired with both governmental and non-governmental institutions. Lulayn Awgichew is an entrepreneur who co-founded an agribusiness company. She is a deputy general manager of Bislet Agritech PLC, where she carries out the duties of setting strategies, marketing, and the management of company activities. She built on her extensive experience in development work to become an entrepreneur. Currently, she volunteers for several nonprofit organizations to support women and children and help them have better lives. She has vast experience in and passion for advocacy and child protection. Upon returning from the Mandela Washington Fellowship, Lulayn plans to continue her work to achieve her company goal of making food affordable to everyone in Ethiopia. Minase Tamrat has over 12 years of experience in software development, technologies, finance and sustainable development. Currently Minase is a general manager of a software development firm which he founded, where he also works as a systems architect and project manager. He has two startups underway which focus on an open financial framework and on integrated sustainable agriculture. Minase is a computer science graduate from HiLCoE School of Computer Science and Technologies. Upon completion of the Mandela Washington Fellowship, Minase plans to continue to create a seamless, transparent, integrated and stakeholder-inclusive financial system framework for his country, Ethiopia. 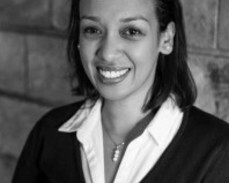 Fanaye Feleke has 10 years of experience in law and development with a focus on gender. Currently, Fanaye is partnerships manager for Girl Effect Ethiopia, which works to positively reframe the image of Ethiopian girls. She focuses on identifying, initiating, building, and managing partnerships. She is also a partner in Setaweet, a feminist establishment which aims to bring about a positive change in the social positioning of women. Setaweet activism takes the form of public forums, women-only study groups, media engagement, and ‘Arif Wond’, an exciting program working with men to challenge patriarchy. Setaweet also delivers high-quality, tailor-made training and research. Fanaye holds a master’s degree in Law in Development from the University of Warwick, where she focused on gender and development. Upon completion of the Mandela Washington Fellowship, Fanaye intends to focus full time on her Setaweet work in feminist activism. 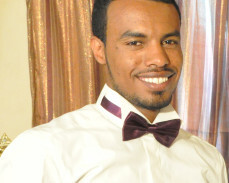 Mekbib Ayalew is a social work and development-management professional. He has worked for the past three years in various NGOs, focused particularly on human subject protection and social development. Currently, he is working in the Africa Union Commission as a culture officer focused on assisting and managing the Campaign for African Cultural Renaissance and promoting the spirit of pan-Africanism and shared values on the continent. He also volunteers at the Addis Ababa Correctional and Rehabilitation Center of Juvenile Offenders (Remand Home), where he is responsible for coordinating social reintegration and rehabilitation for juvenile delinquents. Upon completion of the Mandela Washington Fellowship, Mekbib plans to engage in increasing youth involvement in the promotion and protection of African world heritage, both nationally and within the African Union system. Fregenet Zekiewos Gichamo has over two years experience in a government university working mainly as a dean of the Faculty of Medicine and Health Sciences. As such, he is the chief executive officer directing and coordinating activities of the department and other units of the faculty. In addition, Fregenet works on youth development in her community by organizing a program called ‘Generation Empowerment Program’. She is also a volunteer in blood-donation campaigns in her local community and schools. Fregenet is a medical doctor working as a general practitioner in a hospital. She wants to study obstetrics and gynecology in order to strength her contribution against the harmful traditional practice of female genital mutilation. Upon completion of the Mandela Washington Fellowship, Fregenet plans to continue her work on faculty development and against traditional harmful practices. Yitemgeta Fantu Golla has over four years experience in the energy sector, mostly in project design and management. Having graduated with his master’s degree in Energy Engineering from the Engineering School in France, he has been exposed to the production, optimal distribution and rational use of conventional and renewable energy in buildings, civil engineering, transportation, manufacturing, and the transformation industries. With his specialization in electrical energy, he is knowledgeable in the monitoring and control of electrical energy, as well as the design of projects that include generation, distribution, and renewable energy. In his most recent roles, he has obtained the title of procurement head and energy adviser at Herfazy Consult. He also leads the design and development of innovative acoustic panels and local solar food dryers. Upon completion of the Mandela Washington Fellowship, Yitemgeta plans to strengthen his involvement in the energy sector in Ethiopia and East Africa. Rigbe Hagos has over five years experience working on the inclusion of persons with disabilities. She has worked as a volunteer legal-aid counselor for women seeking free legal aid services. Rigbe is currently involved in her own private practice carrying out social consultancy for vulnerable groups. She focuses on awareness raising and disability mainstreaming training, counseling on self-esteem development, technical assistance on accessibility, and mainstreaming disability, and conducts research on related issues. She also works as a manager for a private limited company. Furthermore, Rigbe serves a board member and volunteer for the Association for Women with Disabilities Living with HIV, and takes part in other community-service projects. Rigbe holds a master’s degree in Social Work and an LLB. Upon completion of the Mandela Washington Fellowship, she plans to continue her work towards promoting the rights and inclusion of persons with disabilities. Bethlehem Haileselassie has four years experience coordinating a street-child rehabilitation project in her home city, Addis Ababa. Currently, she works as a freelance writer but she also volunteers in two organizations that work on child care and education. In addition, she is in the process of establishing a social enterprise that produces leather handicrafts to create jobs for impoverished single mothers. After completing the Mandela Washington Fellowship, Bethlehem plans to launch the social enterprise and establish its social wing, which will initially comprise a community day care and after-school program for children of the single mothers who are trained and hired by the business. Eventually, the project will reach out to other children in the community who live in difficult circumstances. Masresha has over six years experience in software development, especially in the area of machine learning. Currently, she works as a deputy general manager for eNet ICT Solutions, a software company that she co-founded. As deputy general manager, her responsibilities include administering the everyday operations of the organization, preparing schedules, and providing both managerial and technical support to all projects. In addition, she oversees the progress of projects and coordinates with managers, clients, and supervisors to evaluate approvals. She also works as a part-time research programmer, where she is responsible for the research and development of advanced systems. 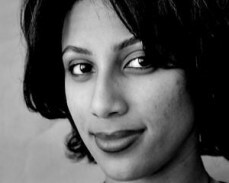 Masresha holds an MSc in Computer Science from University of Kerala, India, where she focused on Machine Learning and Image Processing. Upon completion of the Mandela Washington Fellowship, Masresha plans to lead and expand the company to work on the development of more advanced systems that can solve daily problems. Maryamawit Kassa has four years of experience in various fields especially law, human rights, leadership, and peacebuilding. Currently, Maryamawit works with the Institute for Peace and Security Studies in relation to preparation for the 5th Tana High-Level Forum on Security in Africa. Maryamawit works at the Center for African Leadership Studies, as a part-time research coordinator focusing on legal research and organizational assessment for leadership training. She also did volunteer work with the African Union Youth Volunteer Program and is now a member of Global Shapers, Addis Ababa hub, where she dedicates her spare time to shaping and effecting change in the community. Maryamawit holds a master’s degree in Peace and Security Studies from Addis Ababa University, which focused on African solutions for African problems. Upon completion of the Mandela Washington Fellowship, Maryamawit plans to focus on homegrown leadership as a means for conflict prevention. Muluken Nega is the founder and managing partner of Zana Landscape Design and Contractor PLC. Before starting Zana he worked with local and international businesses in the area of market research, business management, and entrepreneurship. This helped him develop the entrepreneurial and leadership skills necessary to start Zana. In addition to that, he has been taking online landscaping classes since 2009 from experts on landscape design, landscape planning, and planting. More than eight years of work with nonprofits that focus on youth development in Ethiopia has given him the awareness and passion to work in youth empowerment, mentoring, and social entrepreneurship. He volunteers in his community street-boys’ programs, and leads an informal network that inspires ideas, facilitates conversation, and stimulates positive action for changemakers in the community. Upon completing the Mandela Washington Fellowship, Muluken wants to focus on growing Zana into a leading landscape and social business in Ethiopia and Africa. 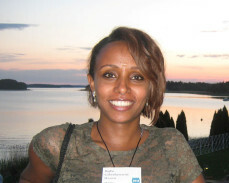 Selam Kebede graduated from Aalto University, Finland, with a master’s degree in Communications Ecosystem. 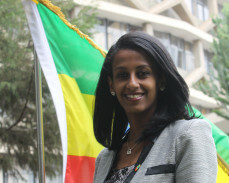 Originally from Ethiopia, she also holds a bachelor’s degree in Electrical Engineering. During her college days, she was actively involved in organizing events related to startups, technology, and entrepreneurship, including the Slush event. She passionately believes in the potential of technology to change lives in emerging countries. She loves the ‘Africa-rising’ narrative and holds a black belt in World Taekwondo from Kukkiwon. She is currently working as a senior associate for Africa at Seedstars, and has traveled to more than 20 countries finding the best tech-based startups and bringing them to the world stage. When she isn’t working, she spends her time researching Ethiopian history and contemplating quantum physics. 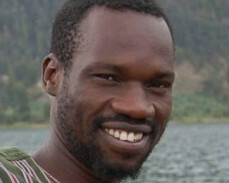 Admasu Lokaley is a young peace practitioner who has worked for over eight years in the field of peacebuilding and conflict transformation. Admasu currently works as field facilitator for CEWARN/IGAD, with a work station in Nyangatom district. His work focuses on collecting and discussing information regarding the outburst and elevation of violent conflict among pastoralists. By analyzing and processing the gathered data, he comes up with alternative routes of local response. Admasu is the co-founder of a community-based organization called Atowoykisi-Ekisil Pastoralists’ Development Association (AEPDA), where he served as program coordinator and executive director. 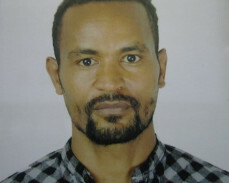 Admasu earned his MA in Peace and Security Studies from Addis Ababa University of Ethiopia, where he focused on the complex inter-ethnic interactions along a disputed piece of land called the Ilemi Triangle. Upon completion of the Mandela Washington Fellowship, Admasu is inspired to continue his work on peacebuilding and advocacy for pastoralists’ rights to land. Mesay Barekew has been a lecturer at Adama Science and Technology University (ASTU) for the last 10 years and teaches business management courses. He is a founding member of ASTU’s entrepreneurship development center. Mesay has been involved in volunteering activities in his local community where he helps children in need to get access to education and required materials. Mesay holds a master’s degree in Business Administration from Addis Ababa University, focusing on business development strategies. After completion of the Mandela Washington Fellowship, Mesay plans to continue with his business development activities. He will work on establishing an incubation center for business startups in ASTU. He also plans to establish his own primary school with a special focus on creativity, science, and math. At his school, he intends to support children in need through a fee waiver and, depending on their situation, monthly subsistence allowances to support their living expenses. Amanuel Lomencho has over four years experience in community development and medical education apart from his work as a physician. He is the founder and general manager of Emerald Medical, a firm engaged in medical education, public education and promoting healthy and environmentally friendly cities through bike diplomacy. He volunteers in Educate Underprivileged Students of Ethiopia, a non-profit organization supporting education for Ethiopian students. Amanuel holds a doctorate degree in Medicine from University of Gondar. 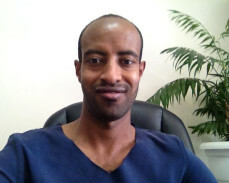 Following the Mandela Washington Fellowship, he plans to continue his work in promoting healthy and eco-friendly cities, linking cities with a shared culture of biking, upgrading the quality of medical education through software based medical education, and serving as a bridge between Ethiopian medical schools and their counterparts overseas. Mizan Welderufael has over eight years of experience in the electrical power sector. She currently serves as automated meter-reading lead at the Ethiopian Electric Utility, Enterprise Resource Planning (ERP) program management office, where she manages the installation of automated energy meters on the outgoing feeders of substations. Prior to her ERP office, she worked in the Energy Management department as energy portfolio and logistics manager. She also worked for about four years as a system operation engineer at the National Load Dispatch Center of Ethiopia. 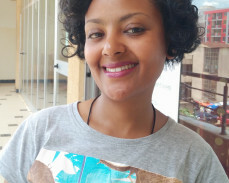 Mizan received her degree in Electrical Engineering from Addis Ababa University, and is currently doing the thesis for her post-grad in Electrical Power Engineering. Upon completion of the Washington Fellowship, she plans to open her own business that fills the gaps related to power quality and reliability, energy efficiency, energy audit, and micro-grids that can improve access to electricity in Ethiopia. Anteneh Asefa has more than nine years experience in the field of public health. 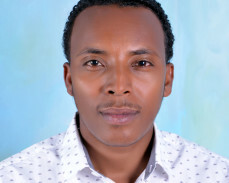 Anteneh was a fellow of the Maternal Health Young Champion fellowship of the Maternal Health Task Force at the Harvard School of Public Health, where he mainly focused on promoting respectful childbirth services in Ethiopia. Anteneh has also been part of the Emerging Voices for Global Health Fellowship, in addition to being featured in New Voices in Global Health during the World Health Summit, 2013. 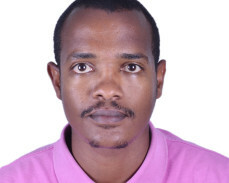 Anteneh is currently an assistant professor at Hawassa University, Ethiopia, where he provides academic service, research, and technical support to various organisations. Upon completion of the Mandela Washington Fellowship, he strongly aspires to be one among the committed young leaders who will be shaping the future of African health systems by responding to the health needs of communities, especially women’s and children’s health. 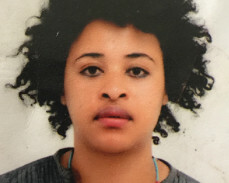 Milha Desta Mohammed was born and raised in Addis Ababa, Ethiopia. She has worked in the development policy field for over eight years, particularly in the climate change, water security, and agriculture sectors. She has worked at local level with nonprofit organizations and at regional level in intergovernmental organizations, namely the African Union Commission and the United Nations. 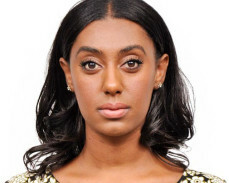 Milha graduated from Addis Ababa University with a bachelor’s degree in Earth Sciences, and from the University of East Anglia with a master’s degree in Climate Change and International Development, focusing on water security. She currently serves as chair of the board for a youth environmental rehabilitation organization, where she promotes sustainable transportation and river rehabilitation. Upon her return from the Mandela Washington Fellowship, she will continue to advocate for a greener urban environment by promoting cycling in the city and river rehabilitation through sustainable waste management. Rania Ibrahim, the service development director for Telemed Medical Services, is responsible for planning, supervising, organizing, and managing product development activities. 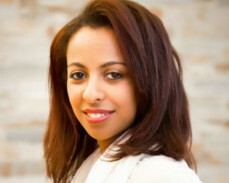 At Telemed, a startup company that aims to increase access to health care for Ethiopians, she honed her skills of forging creative working partnerships with different organizations and individuals. She was a co-developer of the first TB/HIV patient-tracking system that helps patients adhere to their medication, and she is also the strategic and networking advisor for St Paul’s Hospital, one of the largest public hospitals in the country. Rania also volunteers with Berhan Yehun, a nonprofit organization that seeks to improve living conditions for impoverished children. As a Mandela Washington Fellow, she intends to further develop her skills in business development, aiming to expand access to medical technology and to learn ways to fully develop different possibilities of public-private partnerships to improve the health care system in her country. Nurhassen Mensur Mudesir has over seven years experience in business development and community organizing. He is an electrical engineer by training, an entrepreneur and business development professional by practice. 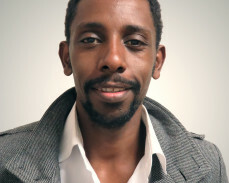 Nurhassen is a founding member and managing partner of the first online payment platform company in Ethiopia: www.yenepay.com. He coaches and consults startup and ongoing businesses under the Entrepreneurship Development Center, Ethiopia. He is a certified project management professional and business development adviser as well as a certified trainer and technical adviser for businesses and community organizations. Nurhassen provides professional and life skills training to business professionals and business owners. As a volunteer, he is passionately engaged in the designing and implementation of development programs that empower women and youth. Upon his return, he wishes to establish renowned international business leadership training, and a consultancy center and a venture capital firm that will enhance entrepreneurship and innovative leadership across multiple sectors. Selamawit Wondimu has over six years of experience in urban planning. 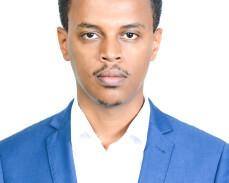 Currently, Selamawit is a senior analyst at the Ethiopian Industrial Park Development Corporation, which is driving the country’s large-scale industrialization initiative. She works closely on a daily basis with her counterparts on the development of guidelines and standards for industrial-park developments, supporting capacity building, and supporting the operations of the parks. She owns and runs a maker space in Addis, where she provides cutting and engraving services for young entrepreneurs and makers. 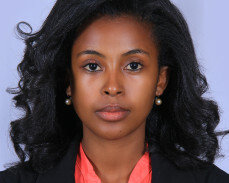 Selamawit holds a Master of Science degree in Human Settlements from the University of Leuven, Belgium, where she focused on spatial planning and networked governance and how it can enhance coordination in regional and urban development in Ethiopia. Upon completion of the Mandela Washington Fellowship, Selamawit plans to continue to expand her business while supporting the country’s industrialization and studying its impact on Ethiopian cities. A graduate of Haramaya University College of Law, Loza Ruga has proven herself to be a person gifted with passion and multiple talents. In her early career, she has had an outstanding record of engagement in various sectors, including advocating for women’s empowerment, and volunteering in organizations working for the well-being of disadvantaged and disabled communities in sub-Saharan Africa. She was part of a team at African Union Headquarters that conducted extensive research on accessibility assessment for the inclusion of people with disabilities. Currently, Loza is launching the Ethiopian Association of Girls Guides and Girls Scouts, the first of its kind in Ethiopia. Upon completion of the Mandela Washington Fellowship, she plans to establish an inclusive community-based platform aimed at enabling and capacitating vulnerable segments in Addis Ababa and then in the whole of East Africa. Liyuwork A Shiferaw has over seven years of work experience. Currently, she is the director of the Maritime Administration Directorate, where she oversees the registration of ships and seafarers; the training, assessment, and certification of seafarers; the follow-up of inland water transportation; and the implementation of international maritime conventions at the Ethiopian Maritime Authority. She also headed the Policy and Legal Department, where she participated in the preparation of national policy, strategy, and legislation. Liyuwork received an LLM degree in International Maritime Law from IMLI, Malta, and an LLB degree from Addis Ababa University. Upon completing the Mandela Washington Fellowship, she plans to continue empowering women in the maritime sector and using best practices to strengthen the maritime sector in Ethiopia. 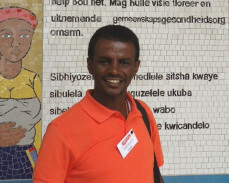 Alem Gebru has over eight years of experience in diverse fields within the community-development sector, specifically on changing attitudes on disability issues. At present, Alem is an executive director in Women with Disabilities for Change, where she focuses on capacity building and creating awareness about women and children with disabilities in the community. She also volunteers in similar organizations by offering life-skills training and empowering women with disabilities. 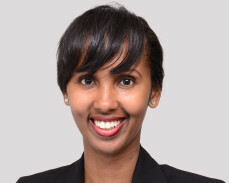 Alem holds a master’s degree in Special Needs Education and a Bachelor of Arts degree in Sociology from the University of Addis Ababa, where she focused on disability inequality and gender disparity within the education sector and their impact on development in Ethiopia. Upon completion of the Mandela Washington Fellowship, Alem plans to carry on her work in disability equality with a focus on encouraging the rights of and equal opportunities for the disabled. Asmeret is an experienced computer programmer, and a pragmatic and visionary entrepreneur with passion for problem solving and technology revolution in Africa and beyond. Self-disciplined and passionate about what she does, she is a talented, ambitious, and self-motivated web and mobile developer with a strong technical background. 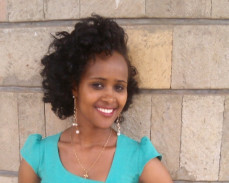 Asmeret graduated from USIU – Africa with a CGPA 4.0 in Information Systems and Technology. Having been involved in a couple of ventures, she has hands-on experience in business and product development in a typical startup business environment with extensive sales and marketing experience. Currently, Asmeret is the co-founder of IntellSync Ltd. In the company she is instrumental in the development and implementation of numerous IT projects, innovation, and strategic partnership management. Upon completion of the Mandela Washington Fellowship, Asmeret plans to continue her work in IT to bring about sustainable, innovative, value- and technology-driven economic growth in Africa. Dina B Tsehay is a Sociology graduate from the University of Mumbai, and has over four years’ experience in various fields of community development. Dina currently works as a project officer at a local NGO called MLWDA, where she primarily focuses on designing economic empowerment projects for marginalized women. Dina has also done various volunteer work in fighting against leprosy, child abuse, and violence against women in India, Tanzania, and Ethiopia. Upon completion of the Mandela Washington Fellowship, Dina plans to continue her work in women’s economic empowerment and create a network for women to participate in cross-border business trade in the East African region. 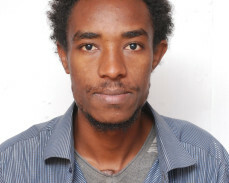 Wachemo Akiber Chufo has over nine years of experience in different positions in Arba Minch University, Ethiopia. Currently, he teaches various courses in the field of Environmental Engineering and advises undergraduate and postgraduate students at Arba Minch University, Ethiopia. Akiber Chufo holds PhD degree in Environmental Engineering from Beijing University of Chemical Technology, China. His research areas are production and optimization of renewable energy from biomass wastes and development of solid-waste management methods. Additionally, he works in mitigation of climate change in the community using locally available resources. Upon completion of the Mandela Washington Fellowship, Akiber Chufo plans to develop green energy-generation strategies for the community from locally available biomass wastes. 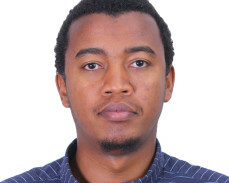 Kibrom Aregawi is an assistant professor with over 10 years experience in teaching, research, and consultancy services in the Department of Management at Mekelle University, Ethiopia. Currently, he is the coordinator of the Center for Entrepreneurship Development. He is tasked with promoting an entrepreneurial culture and climate in the university community and beyond by organizing entrepreneurship training and providing support services. Kibrom volunteers in training, mentoring, and extending business-development support services to small and medium enterprise operators and students. Kibrom has also assumed various university leadership positions, including coordinator of the management program and head of quality assurance of the College of Business and Economics. Kibrom holds an MBA and an MPP from Mekelle University, and KDIS, South Korea, respectively. After completing the Mandela Washington Fellowship, Kibrom plans to continue and scale up efforts to expand community outreach in ways that will impact the lives of millions in the region. 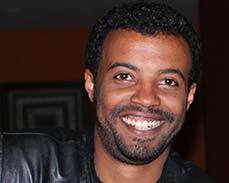 Seifu Yilma is Ethiopian and communicates in Ethiopian sign language. At the age of six he became deaf due to meningitis. He attended regular hearing schools and finished his master’s degree in Special Needs Education. 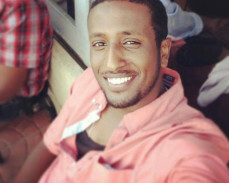 He did his Bachelor of Arts in Ethiopian Sign Language and Deaf Culture. He has been serving in several public service activities voluntarily, that benefits the deaf communities in Ethiopia. Seifu served as chairman of the Deaf Association at the Addis Ababa branch of the Ethiopian National Association of the Deaf. He’s also been serving as a board member for the Federation of National Association of Persons with Disabilities. In these commitments, he effectively discharges his responsibilities on advocating the rights of deaf people in getting decent employment, education and social welfare. He was also chairman of a committee at the Addis Ababa University representing deaf students. He is currently a guidance counselor. Tirsit Retta has over 10 years of experience in leadership and public mobilization in the community, and academia and charity organizations. She engages herself in humanitarian services through the Red Cross, Family Guidance Association and Missionaries of Charity to deliver medical services and health education to the poor and destitute. In academia she plans, organizes, directs, and monitors medical professionals who deliver health services to the public. Her unwavering interest in research led her to initiate the largest epidemiological study in Ethiopia, which examines 500,000 patient records to determine skin disease trajectories. Tirsit earned her medical doctorate degree from Jimma University and her postgraduate specialty certificate from Addis Ababa University. Her plan after attending the Mandela Washington Fellowship is to establish an evidence synthesis center in Ethiopia to produce high-quality research, and then inspire women and physicians in the areas of science, environment, and education. Yilkal has over three years of experience in various community service activities. Currently, Yilkal is an active participant in Debre Berhan University’s free legal aid center, which advocates cases for vulnerable sections of the society. Yilkal is also manager of the Northern Shoa Zone Blind Teachers’ and Students’ Professional Development and Cooperation Association. In these roles he follows up the legal aspects of its activities and designs and implements its various projects. Yilkal also volunteers in his association and trains blind members of the association on how to use computers with a screen reader program called Jaws. Yilkal has got his LLM from the Ethiopian Civil Service University. Upon completion of the Mandela Washington Fellowship, Yilkal plans to continue his work in ensuring the right of access to information for the blind and to advocate for vulnerable sections of the society. Amel is an executive radio producer for a popular and reputable radio station – 702, based in Johannesburg, South Africa. Amel has worked in the field of family planning, reproductive health, and HIV/Aids on behalf of key players such as Pathfinder International and the Johns Hopkins Bloomberg School of Public Health. With over 10 years of experience in public heath communication and training, design, and facilitation, she now uses her media skills to produce a breakfast show that emphasizes the importance of positive leadership, accountability and dialogue about national affairs. Although a sociologist and filmmaker by trade, Amel, enjoys transcending the boundaries of traditional media to create new means of communication that can reach those in need of inspiration, empowerment and most importantly, a platform. 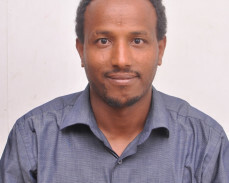 Tawetu Abreha has over five years of experience in various fields in the educational sector. 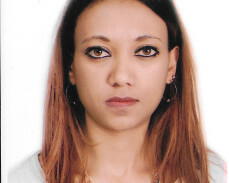 She has been assistant professor at Mekelle University, system division officer at Meles Aerospace Science and Engineering Dynamics, and gender office head focusing on gender mainstreaming at the Ethiopian Institute of Technology-Mekelle (EiT-M). 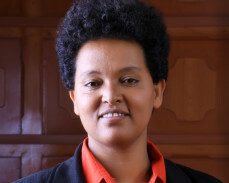 Currently, Tawetu is head of the school of Electrical and Computer Engineering at EiT-M, where she is responsible for the overall management of the school, including teaching and learning activities, research and community service, and local and international collaborations. She also volunteers in the Tigray Science and Technology Agency to coordinate the Girl’s Camp program. 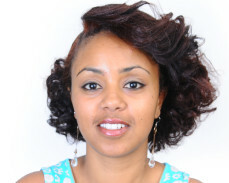 Tawetu holds a master’s degree in Communication Engineering from Addis Ababa University. Upon completion of the Mandela Washington Fellowship, Tawetu plans to continue her work as a school head with a focus on school-to-industry and international university linkages, and girl’s empowerment. 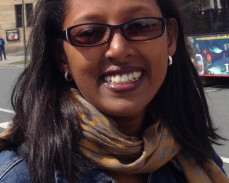 Mahlet Tesfaye has over four years of public management experience in higher academic institutions and diplomacy. Her major areas of interest include gender issues and education policy reform advocacy, where she focuses on designing, implementing and researching on learning schemes. Mahlet worked as an educator and researcher signifying the importance of formal and informal education. She also volunteered in a book and database project that documents stories of hundreds of accomplished Ethiopian women, and served as a motivational speaker on different platforms focusing on education and youth. 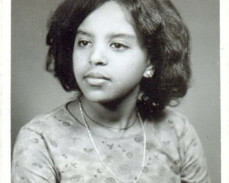 Mahlet currently works in the Ethiopian Ministry of Foreign Affairs. 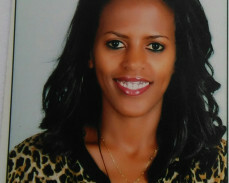 She received her bachelor’s degree in Philosophy from Addis Ababa University. Upon return, she aspires to work on education diplomacy, education advocacy and the global initiative on education. Her long-term career plan includes working on influential research that could become recommendations to effectively address the challenges in the Ethiopian education system.